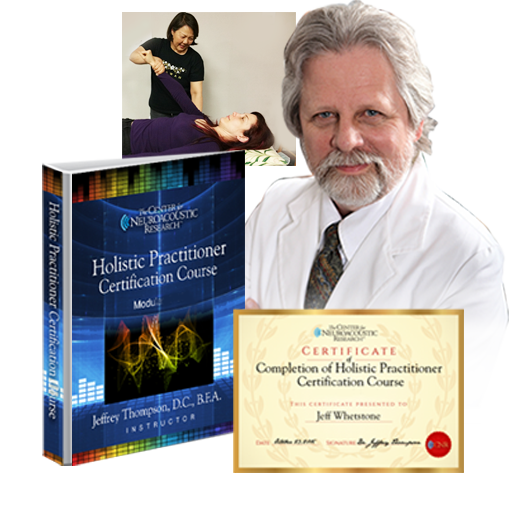 If you are interested in the rewarding, growing field of Holistic Heatlhcare Practitioner, take the first step and attend Dr. Jeffrey Thompson's Course. This course provides multiple means of assessing health concerns and ways of individualizing care integrating singular methods in relationship to the whole. 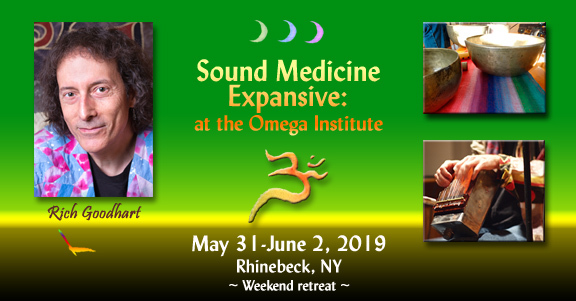 The course's hands-on experience provides the understanding and inter-connectivity of the methods offered stimulate life-energy / the bio-organic intelligence / the Inner Physician. Describe "entrainment" and how it affects states of consciousness. Understand the need for and the inter-connectivity of proven clinical methods to locate and help remediate the cause. Be able to professionally and objectively evaluate an individual in a holistic manner. Use testing procedures which accurately address all systems of the body. Understand the singular purpose of assessment tools, the methods needed to stimulate and assist, and relax, and the inter-connectivity of each as it relates to the whole. Recognize the individuality of the person and to individualize a therapeutic approach. Brought to us by Dr. Jeffrey Thompson, D.C., B.F.A. Dr. Thompson has taken his proven Bio-Tuning technology from the restrictions of the laboratory and clinical environment and created a laptop-easy to use automated solution. Whether your planning to be a Holistic Neuroacoustic Practitioner or Therapist, enrich a current practice or personal use the Bio-Tuning System provides amazing benefits and opportunities for healing.The Bio-Tuning Automated System is easy learn, use and understand. Plus the system fits in a single carry bag so you can take IT anywhere! We have successfully taken a whole therapy room full of equipment (keyboard, two computers running four programs, two digital players, one digital recorder and a multi-track mixing board) and compressed it into a laptop with an automated program! With the Bio-Tuning Automated System, you will be able to find the Fundamenta Frequency lof an individual, create custom binaural beats, prepare the person to monitor his/her ANS, compose the Session’s Custom Program tuned to that individual, play the composition, fine tune the program if necessary as you monitor the RT-HRV program, record the program and then create a digital file for a wav player or place the Program on a compact disk as desired. You will be able to create a minimum of 21 brainwave states and accompanying custom programs. This Schedule will be updated periodically. Please confirm dates before making plane reservations. 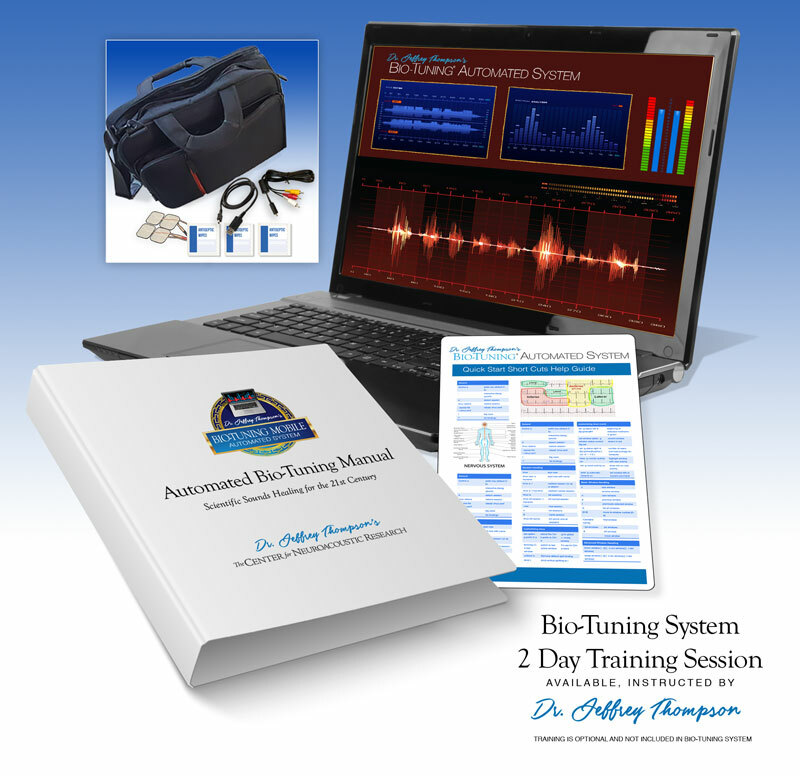 *To have your Bio-Tuning® Program available to you when you come for a Bio-Tuning® Course / Workshop, please confirm with payment a minimum of 3 weeks before the start of the Course. 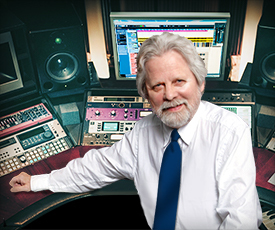 An additional day or two with any Bio-Tuning Course / Workshop may be available if you want. These can be used for further integration, for review, special tutoring, addressing a special interest or specialty, etc. When requesting more time, please note your interest and goal(s) – Requests will be taken in the order received and added to the schedule below. Watch for updates. For Each Additional Day: Please confirm with CNR, but generally for 4 or more individuals tuition is $300 each; for 3 individuals $350 each; for 2 individuals $500 each and $1,000 for private. Plan to share and discuss business guidelines, marketing, educating clientele, etc. If interested in distributing product, let us know your interest ahead of time and plan to reserve some time for the “how to” of being an Independent Contractor with CNR to place and sell one or more versions of the Bio-Tuning® Program. Dr. Jeffrey Thompson, D.C., B.F.A is the founder and director of The Center for Neuroacoustic research and considered the world’s premier sound healing researcher, brainwave entrainment expert, and high-tech personal transformation innovator, motivator and futurist. His work addresses harmony between the body/mind/spirit and is clinically proven to foster deep personal wellness and expansion of consciousness. Dr. Thompson's clinical , research, innovative auditory, kinesthetic and visual therapeutic work has achieved a world wide following. I took Dr. Jeff's HPCC Course in 2015 and consider it the opportunity of a lifetime. I also underwent his BioTuning process and It was profoundly moving and life-changing experience and I will be happy to share my thoughts with anyone who inquires about it. Note: A $500 deposit will save your place and give you the discount within the time-frame above. Full payment is due October 1, 2017. A Payment plan for the HPCC is available if needed. E-mail or call. Costs for the automated Bio-Tuning System with free course (for Bio-Tuning system only) and the costs for sound delivery systems are also located within the DropBox folder, again located at http://bit.ly/HPCCBioTune (within the Invoices sub folder and the specific file is Summary of Tuition, Options-R-08-23-17.pdf). Admittedly, there's a lot of information there, so it will take a bit of time to review. I recommend contacting Betty Jane directly for further clarification if needed. I see the cost for additional days.... $300, etc.... $1000 for a private, but don't see the cost of the actual workshop. Please share that. Hi Rich and thank you very much for your reply. I hope you and yours are well.